Published by: RoseScribe Media Inc.
I’ve enjoyed this series, although I didn’t read any of Legendary Bastards of the Crown Series which the author suggests. I didn’t find the series lacking because I hadn’t. Each sister is very different and with great entertainment I followed their difficulties in life while finding their true loves. Winter is very stubborn and high-spirited. She is also very protective of people she loves, as we discover when she does something unthinkable for a noble lady—works in the forge to help the blacksmith. She also discovers she has a passionate streak when she meets Sir Martin de Grey. The story is quite comical, even though the stakes are high. As Winter is helping the blacksmith who no longer has good enough eyesight to do his work, Sir Martin de Grey comes to the forge demanding his sword. Of course, the sword hadn’t been worked on because Sir Martin had taken his son as a hostage, who most recently did the blacksmith’s work. Now Sir Martin enjoys women, pure and simple — but never touches a virgin. He sees Winter, thinking her the blacksmith’s daughter, and is immediately interested in the wench. Lady Winter has to pretend to be the daughter and eventually they must both go to Sir Martin’s own forge to work on the sword. I liked Lady Winter’s curious manner and her desire to learn more about what happens between a man and woman. Her demeanor has Sir Martin thinking she has done this before–which she hasn’t! Her curiosity could just kill the cat! Her no-nonsense approach to life, even at nineteen gives her a maturity other girls don’t have at her age. When Sir Martin de Grey approaches her, taking her to his chamber, she goes. That chamber has painted scenes on the ceiling which should make any maiden swoon. Not Lady Winter. Like I said it’s all very comical and you will get some laughs from it. Sir Martin almost forgets why he needs the sword to be forged and doesn’t learn of Lady Winter’s true identity until he has done the deed. All this just complicates the situation further. Another character I find humorous is the nanny. In fact, the narrator does the personification of this woman to perfection. Nanny is a seer, but doesn’t see all. Just glimpses. She’s been Lady Winter’s nurse since she was a bairn and follows her to Sir Martin’s castle. She tries to talk reason into Lady Winter, but Winter is just too curious! On the whole, his narration was good. It’s pacing and tone was one of levity. It is with some regret I felt the narrator portrayed little emotion from Lady Winter as she is in Sir Martin’s bed or close to. The tone of the dialogue rang false, feeling too dry and methodical, rather than playful. 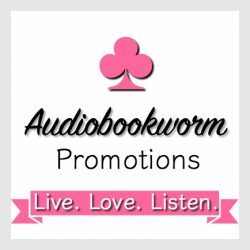 This entry was posted in Audiobook, Audiobook Review, Highland Romance, Historical Romance, Medieval Romance and tagged Audiobook Review, Brian J. Gill, Elizabeth Rose, Seasons of Fortitude Series, Winter's Flame. Bookmark the permalink.